Out of all the sports games that comes out Madden is probably the most popular. Just a few years ago, it celebrated its 25th anniversary which amazing because that means it’s survived past multiple generations of video games, and that is hard for a game to do. With that said, this game had high standards to meet. Let’s start with what it’s added. Franchise mode is at its best in this game. You are more immersed with the scouting and developing of the players on your team. Each player earns XP points with every game and you decide how to spend those points on their attributes. The downside is that if the player doesn’t reach their season goals then they lose attributes. You start off the franchise with a generated coach and you take over a team. Like with the players, you earn XP points for winning games, reaching goals, and doing well in the season. Those XP points can be used to buy influence for the team like signing players, scouting players, and keeping the ones your already have. Your goal is to increase your legacy points so that you are the top ranked GM in the game. Game mode now gives you the option to play only the key moments in the game or just on one side of the game. This allows you the possibility to play more of the game instead of the back office stuff. You are more involved with the audibles and shifting the offense or defense around before and after the play. The biggest in-game addition, comes with the run game. 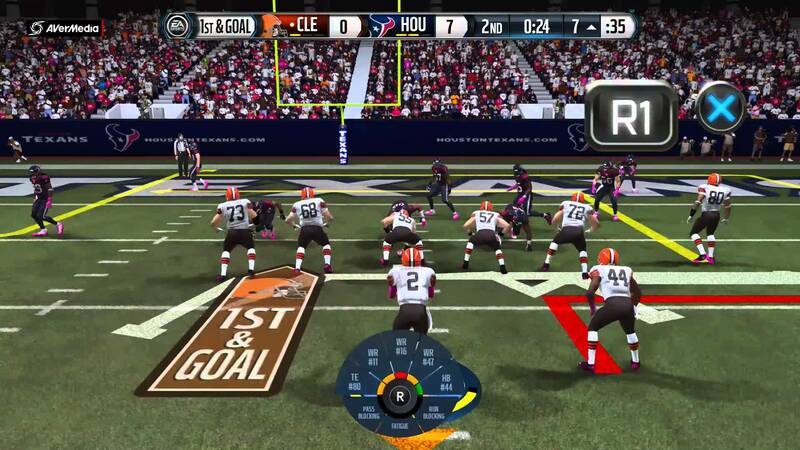 You now have more options to juke past defenders or break for that big play. This factor is the greatest with punt/kick returns as in this day and age, it’s a deciding factor in the game. In order to better the franchise game, they had to take something out and that was the ability to create and play as a player through his career. This could have stemmed because NCAA is no longer doing a football game. For me, I was a big fan of that part of the game but I will say that with the more immersive Franchise mode, I’m not missing it all that much. 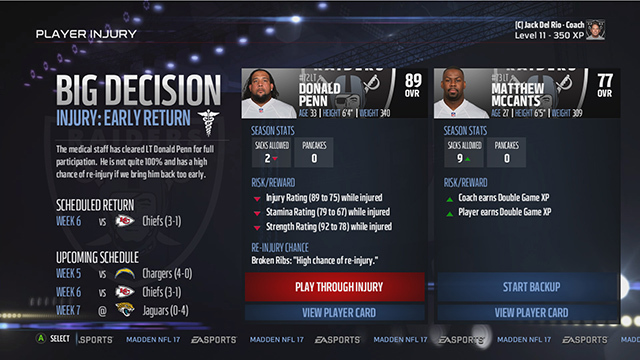 Other major improvements with the Franchise mode is the decision factor that goes in being a GM of a team. You get to decide how whether or not to play a player through injury (and it will have negative effects if you do), big trades to make, and other small decisions of every day operations. The only thing that the game doesn’t have that I wished it did, was dealing with the financial part of the job. Like in some of the MLB versions, you can deal with advertising and have the ability to update a uniform. I would have liked to have more of a creative aspect in the game. This is the best Madden game that I have played. If there is one game you should invest in it is this one. Add to the fact that one of my favorite players is on the cover, it’s hard not to find this one a winner. 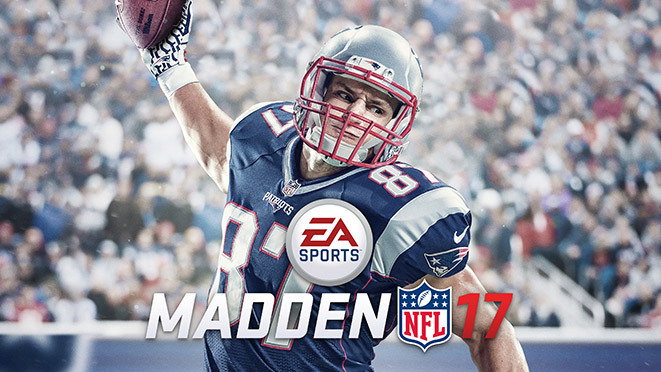 Madden 2017 is available at all major retail stores. This entry was posted in Video Games and tagged EA Sports, Football, Madden 2017, NFL, Rob Gronkowski.